CWI and Meyn look to boost poultry quality control - foodqualitynews.com - 19-09-2017. (2017). 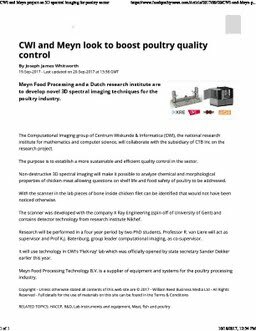 CWI and Meyn look to boost poultry quality control - foodqualitynews.com - 19-09-2017.